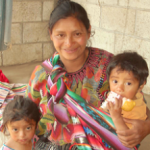 MISSION: To provide microcredit and education to Guatemalan women so that they can create their own solutions to poverty for themselves, their families and their communities. VISION: A world in which empowered women eliminate poverty. HISTORY: Friendship Bridge was established in 1990 with the mission to send medical supplies to impoverished populations in war-ravaged Vietnam. While medical supplies were positively impacting the lives of recipients, Friendship Bridge was looking for a more sustainable solution to poverty reduction — the solution was microcredit. In 1994, we shifted our focus from medical supplies to microcredit and began offering small loans to impoverished women. 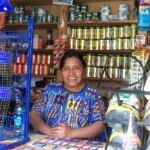 Our clients, women who were deemed ‘unbankable,’ started or expanded small businesses and began creating their own sustainable solutions to poverty. In 1998, Friendship Bridge expanded our work to Guatemala, another war-ravaged suffering extreme poverty and offering limited opportunities to women (see statistics below for more details). Believing local partners could make more of an impact in Vietnam, Friendship Bridge transferred our Vietnam loan portfolio of $258,000 to local partners in 2000 and began focusing solely on Guatemala. By 2003, almost 3,000 clients were borrowing from Friendship Bridge; by 2006 the number tripled to 9,000 clients; and today, we reach more than 14,000 women through our Microcredit Plus program.